In September 1982, I took a trip to Bryant Pond to get some pictures of the last full magneto cord board exchange in operation in the U.S. There is an audio recording of the operators at work available by dialing CNET 1-263-BRYP (2797). 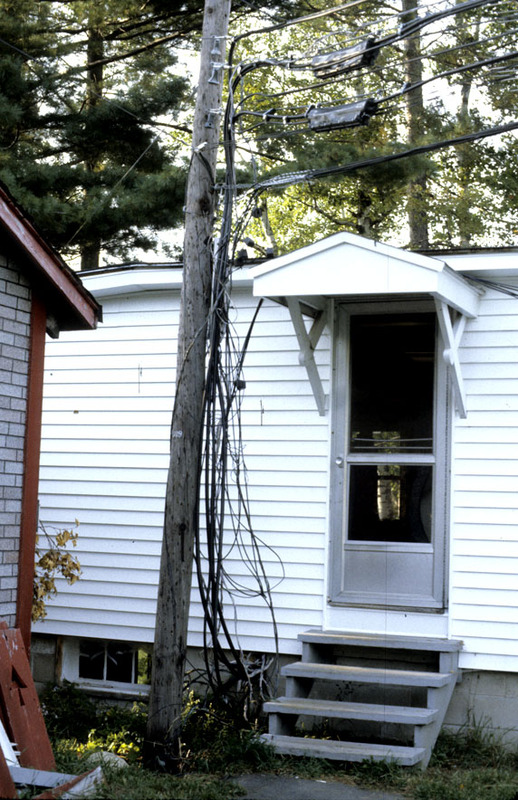 This was the back door to the house, and the entrance to the living room with the cord board. 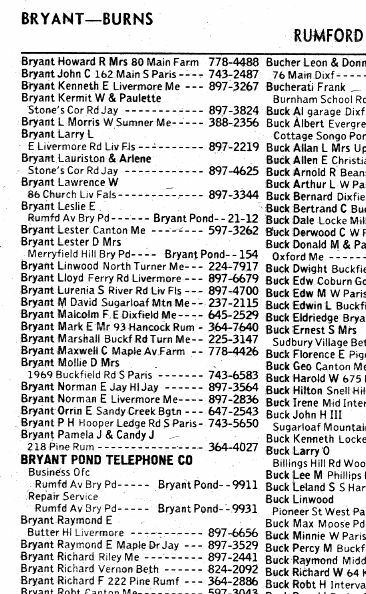 Clipping from the Rumford Area phone book showing some numbers in Bryant Pond. 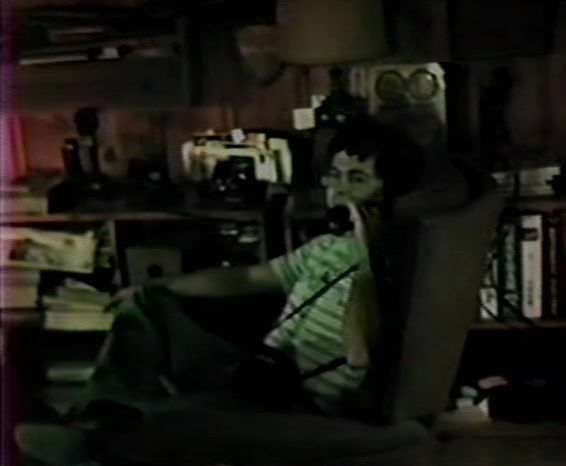 Leslie Bryant had a party line on drop 21 with a ringing combination of 1-2. 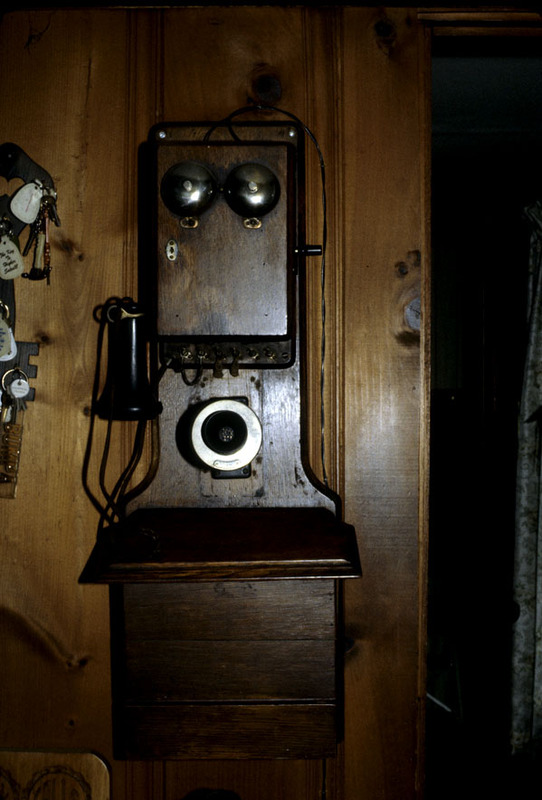 Mrs. Lester Bryant had a private line on drop 154. And then there's the listing for the telco business office and repair service. 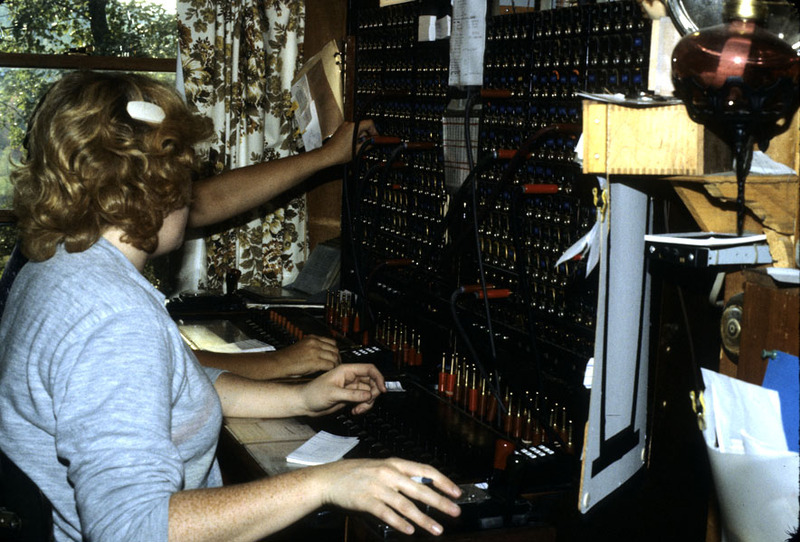 To provide the level of service to which Americans were accustomed (operator answers within two to three seconds), two operators worked in parallel. 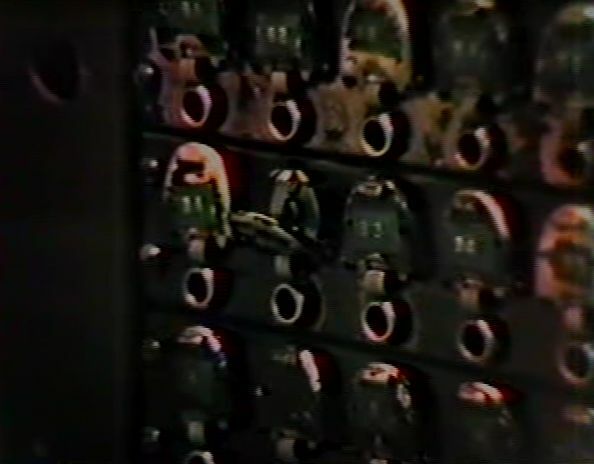 Toll circuits were multipled along the bottom, but an incoming call for a number whose drop was on the adjacent panel required a long reach. You can see the origin of the term "drop" on the board. When the customer turned his crank, a relay would cause the numbered flag to "drop" down, indicating where to insert the cord. 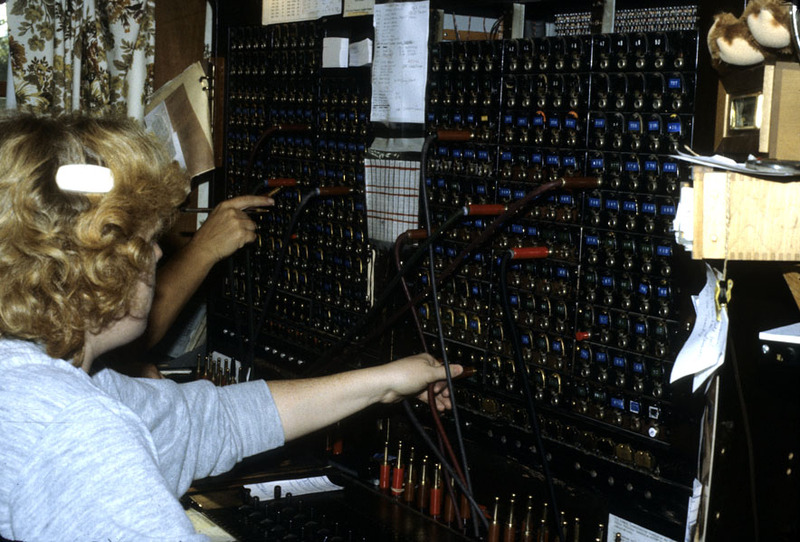 In German, this kind of switchboard is called a "Klappenschrank", and in Austria, the term "Klappe" is still in use for "extension." 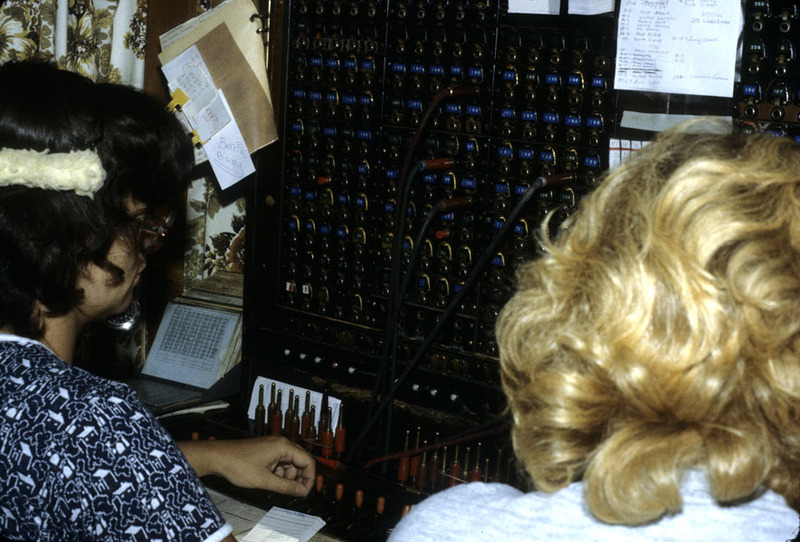 In the picture below, you can see the MF dialpads the operators used when making outbound toll calls. 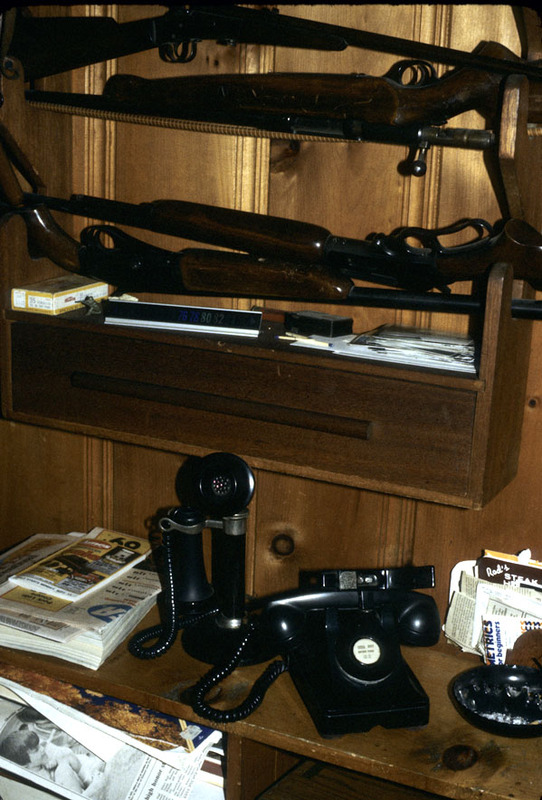 Here are some phones of the type in service in the town. This is the actual toll ticket for the calling card call which I made from 207 Bryant Pond 32.